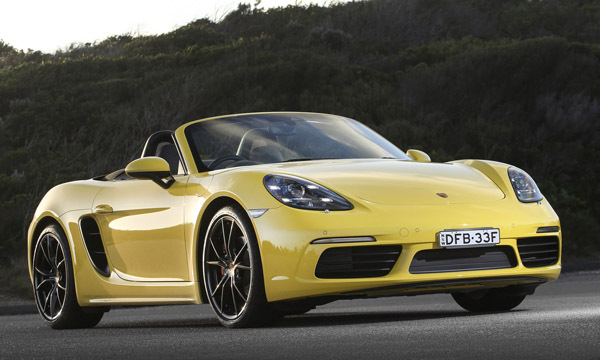 Porsche Boxster roadster and Cayman coupe are the same vehicle, except that there’s a folding roof in the former and a fixed one in the latter. They were introduced to provide a lower-cost model than the 911. However, some regard these smaller vehicles as being ‘not really a Porsche’ so they haven’t sold as well as anticipated. A sad situation as they really are great to drive and, because in some ways they are more practical and safer than the 911. Boxer and Cayman are mid-engined sportscars, meaning the engine is installed within the wheelbase for the best in balance, in this case just behind the cabin. However, there’s a drawback – if the tail gets out too far you’ll need quick reflexes to correct it. These days electronics aids can save you from over-reaching unless you’re really stupid, in which case the laws of physics take over. These electronic aids can be detuned should you wish to make your own decisions, such as for track days. These smaller Porsches are strictly two-seaters. Shoulder room is good and unless you’re very tall in the body you will pretty well be isolated from buffeting with the Boxster’s roof open. Boxster’s roof design is simply brilliant, the roof acts as its own cover when the top is open and can be closed very quickly, Even if the weather is threatening as it can easily be powered up when at a red traffic light, perhaps even in stop-start traffic. Porsche Boxster and Cayman are surprisingly practical for their class having luggage compartments front and rear. So they can work as daily drivers, even for holiday trips if can travel relatively lightly. These pure sports machine delight in being pushed hard and fast. Their naturally-aspirated engines are responsive, the gearbox is a delight to use, road grip is very high and the feel through the steering wheel and the seat of the pants is makes them easy to control. The Boxster arrived in Australia in January 1997, the Cayman didn’t get here until 2006 and was based on the gen-two Boxster. These older models are getting on in years so we will concentrate on the third generation, the Boxster 981 series that arrived here in June 2012. Cayman was almost a year behind it, May 2013. The 981 series are slightly larger than the models they superseded, but lighter thanks to advances in structural design and the use of quite a bit of aluminium in the body. There’s a strong similarity in the shape between all generations, something that Porsche owners appreciate. Though not an all-new model the Porsche 718 models have all-new engines (see later), significantly revised styling and retuned suspension and steering. Power in the Porsche 981s originally came from a 2.7-litre flat-six or a 3.4-litre flat-six. 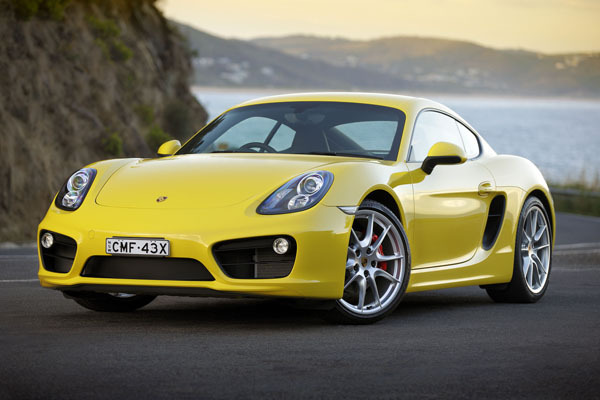 The 2016 718 Boxster and Cayman saw the introduction of turbocharged flat-four engine with capacities of 2.0 and 2.5 litres. Though without the near-instantaneous response of the superseded flat-sixes the flat-fours are still pretty good, and once you do get the turbos up and providing full boost they are stunning units. Note that the 2.5-litre has the advantage of variable turbo geometry so is faster on the uptake than the 2.0. Transmissions are six-speed manual or seven-speed dual-clutch automatic. A Porsche Boxster that’s always been serviced and repaired by an official dealer is relatively common and is the one to aim for. You probably be asked to pay more because of its history. We reckon it’s money well spent. Insurance ratings are generally moderate for what is, after all, a prestige sportscar aimed at those who like to drive hard and fast. However, if you’ve a poor claims history and/or a poor driving record prices can increase dramatically. Porsche is well established in Australia. The dealer network isn’t huge, but it’s well organised and we seldom hear complaints about parts or service availability. The latter aren’t cheap, but not outrageous for what you get. Repairs to the body may be minor – or major. In either case have a professional check it out, preferably in a workshop that can do alignment measurements. Rust is very unusual and almost certainly means the car has been badly repaired after a crash. Check the cabin and luggage areas for signs of harsh treatment. Look under the floor mats for signs of dampness caused by a Boxster being caught out in the rain. The engine should start easily, idle smoothly virtually from the moment it kicks over and have throttle response that’s all-but instantaneous. The gearbox should be light and easy to use, with no noises at any time, even during the fastest of gearchanges. Heavy operation of the clutch is likely to mean it’s due for an overhaul. Not a complex job, but there are no cheap repairs on a Porsche. These cars are well engineered and solidly built and unless poorly repaired after a crash should last well. If you suspect collision repairs it’s wise to have it professionally inspected. 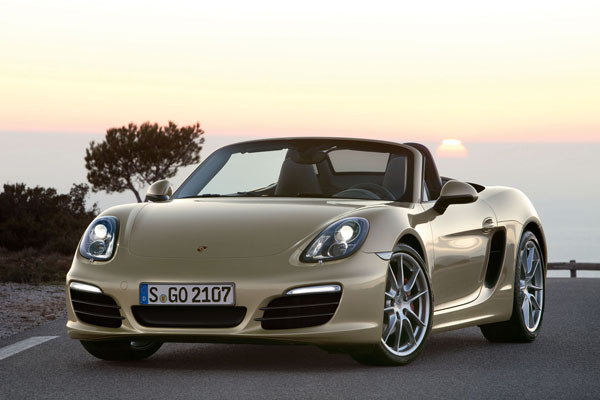 Expect to spend from $39,000 to $51,000 for a 2012 2.9-litre Boxster 987; $43,000 to $58,000 for a 2012 3.5-litre Boxster S Black Edition; $65,000 to $88,000 for a 2014 2.7-litre Boxster S; $71,000 to $94,000 for a 2014 Cayman GTS; $92,000 to $124,000 for a 2016 718 Boxster S; and $100,000 to $135,000 for a 718 Cayman S.
Very few sportscars are driven in full-on sports events, or even at track days. If you come across one it’s probably best to give it a miss.